After slightly more than five months of curing, my Nduja salami was ready to be cut down. This is the odd-but-delicious spreadable salami that's a blend of one-third pork meat, one-third pork fat, and one-third spices. All that fat and the large amount of spices makes the salami soft enough to spread. It's not super-soft like Brie, but spreads like a thick paste. 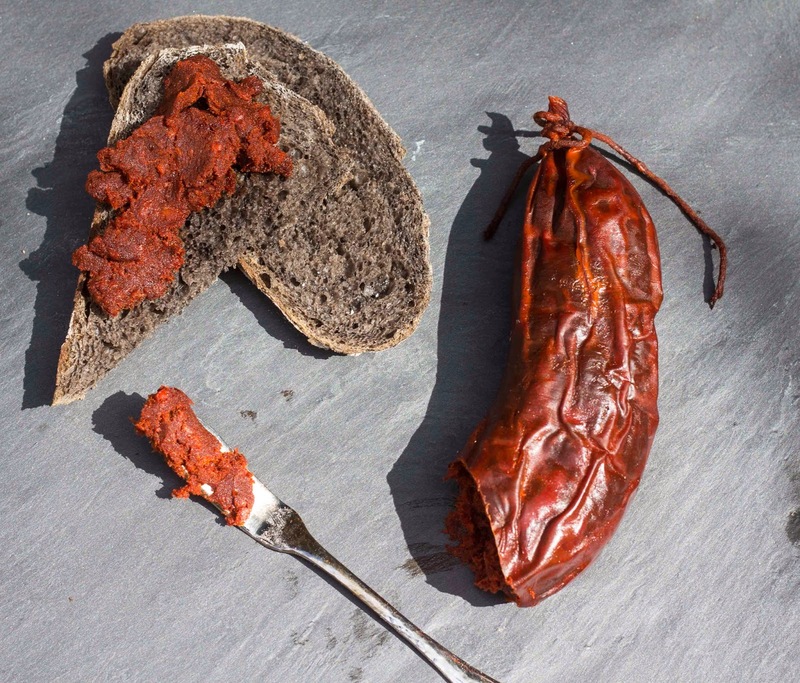 The aroma of the cured nduja was slightly porky and funky, like a regular salami. 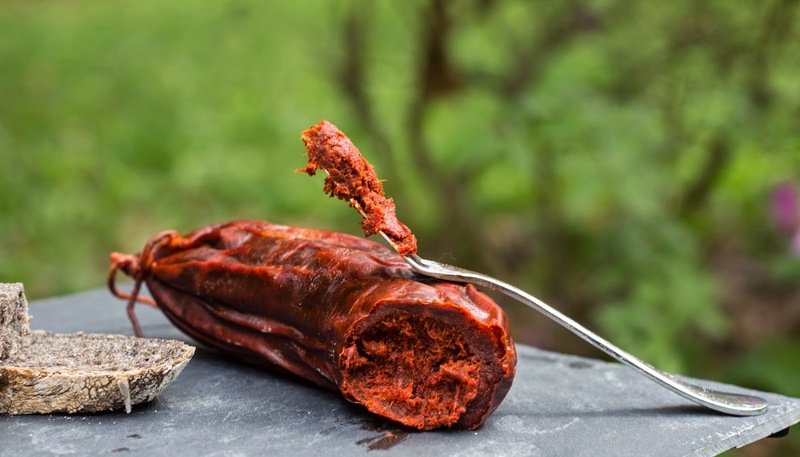 But with that familiar bouquet came a wave of warm, spicy chiles, aromatic cinnamon, and the gentle waft of the oak wood I smoked the salami over. Cutting into the beef middle casing that held the nduja, I met with a thick, rillettes-like paste. The taste was really unique. A term I've heard used in the food industry is "flavor release," which is how quickly a food spreads its flavor across the palate. Some foods release their flavors quickly, others take time to bloom. I found the nduja was a slow burn. At first, it just tasted of salt and smoke. But then, as the fat warmed on your tongue, all the spices seemed to come alive: hot chilies, fruity chilies, the intense and savory taste of cured meat. After that, the finish was a mix of heat and smoke, all underlined with a heady taste of delicious pork. Surprising, despite the high amount of fat, I found this salami didn't leave your mouth feeling greasy. The chilies really keep the fattiness in check and leave your palate tingling and ready for another bite. I'm curious if this "delayed release" is why I've seen nduja often served as a hot dish, tossed with pasta, roasted vegetables, or topping grilled meat like a compound butter/salami. But it also could be the chilies I used, as some chiles have a delayed response and others have an immediate response of heat. Purely for aesthetic reasons, I paired this brick-red salami with black bread. This was a sourdough loaf I made and colored with squid ink. I'm excited to try this again next winter, with a new mix of chiles.